Steven (Chicagoland, United States) on 24 August 2009 in Cityscape & Urban and Portfolio. 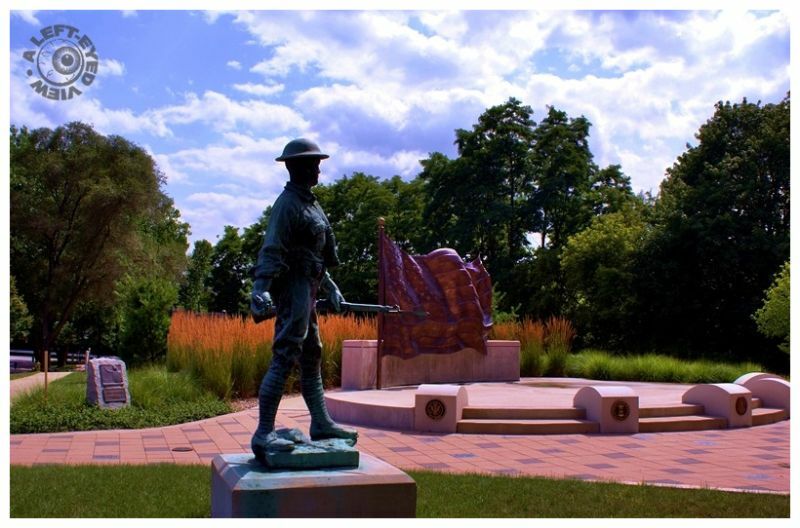 The new Veterans Memorial Plaza was unveiled Veterans Day of 2008 in Waukegan, Illinois. The plaza is on the site where the Homer Dahringer American Legion Hall once stood. The patina-covered statue of Homer Dahringer, once located in front of the American Legion Hall, finds a new place in this plaza. A bronze sculpture of the American flag is in the background. Photo taken August 6, 2009. Still remains so important to provide a focus for these events . . they shaped the way we are today.